The brakes on black M2 CS test mule pictured below are not CCBs, but look bigger than the current M2. 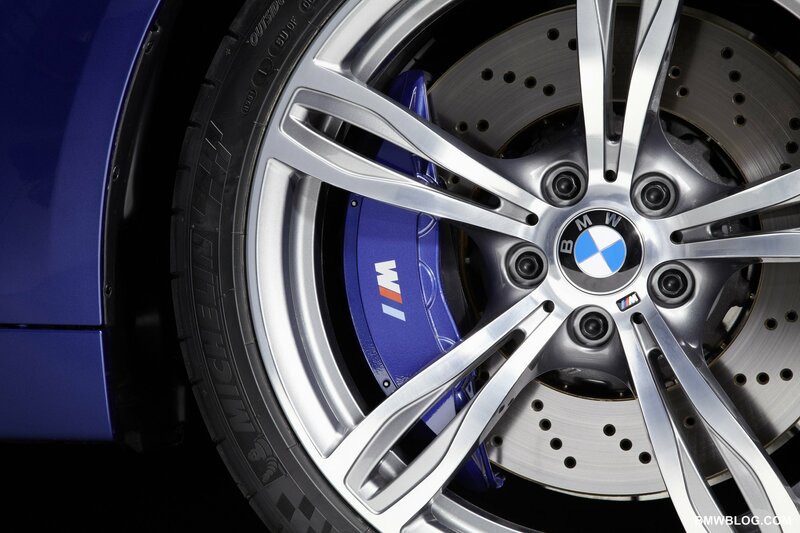 The front caliper/disc look identical to the F10 M5 - below is front brakes behind 19" M2 wheel vs the 20" M5 wheel. Could be an interesting upgrade as you said, BP. I see other modifications too: creating a bracket for the new calipers, using spacers or wider wheels and finally... Would the master cylinder be big enough to ensure the new enhanced braking force? In addition, pedal feeling should be different.